Tyre manufacturering giant CEAT Ltd on Friday announced the launch of its new high speed range of CEAT SecuraDrive tyres. These tyres have been successful in the European market and the same technology has now been adapted to Indian conditions. It will be available in seven different sizes namely 215/60R16, 205/55R16, 195/55R16, 195/65R15, 185/60R15, 195/60R15 and 175/65R15. 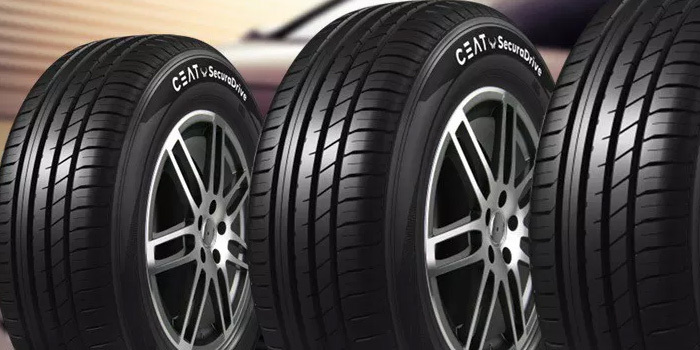 The tyres are specifically designed to provide a comfortable and safe driving experience at high speeds. They feature wide longitudinal grooves for aquaplaning resistance that provides complete control over wet roads. CEAT SecuraDrive tyres also come along with a new generation compound that provides superior grip for every trip. Its Optimized Tread Pattern helps in lowering the noise thereby giving you a peaceful and comfortable drive.